Discover your Erickson Living community. from the people who know it best. 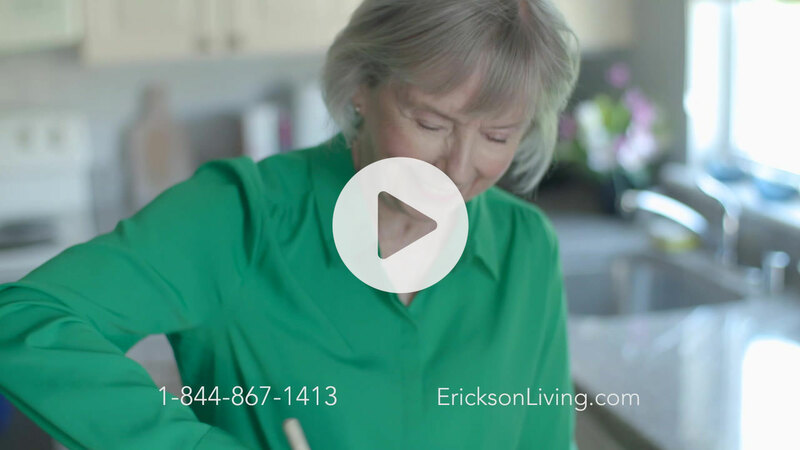 At Erickson Living, we’re helping seniors live better lives. We’re one of the nation's most respected leaders in building and managing continuing care retirement communities, with 19 campuses in 11 states across the country. Over the past three decades, we’ve perfected our approach to helping people of retirement age enjoy their independence, free from the burdens of home ownership and maintenance. To learn more about your local Erickson Living community, call 1‑844‑867‑1413 to request your FREE brochure! Maybe you never imagined moving to a retirement community, but the benefits of an Erickson Living community are just so enticing. By choosing our maintenance-free lifestyle, you eliminate homeowner worries like house repairs and high energy bills. You also enjoy the convenience of on-campus amenities including a salon, fitness center, market, and so much more. Rather than making repairs and hurrying to appointments, spend time doing what you love. For a simple and convenient retirement lifestyle, be sure to visit an Erickson Living community. 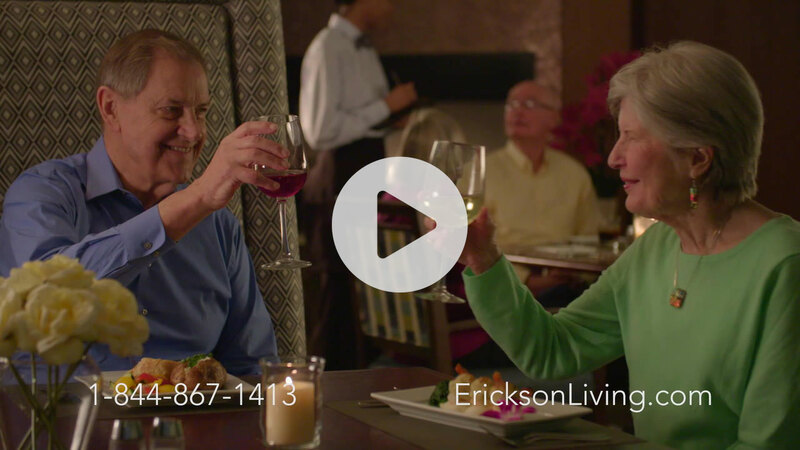 Watch these videos to discover even more about life at an Erickson Living community. © 2017 Erickson Living.® All rights reserved. You may choose to receive either an independent living brochure, for active seniors still living on their own, or a continuing care brochure, for those who require more specialized care or assistance. You may choose to receive either an independent living brochure, for active seniors still living on their own, or a continuing care health services brochure, for those who require more specialized care or assistance.